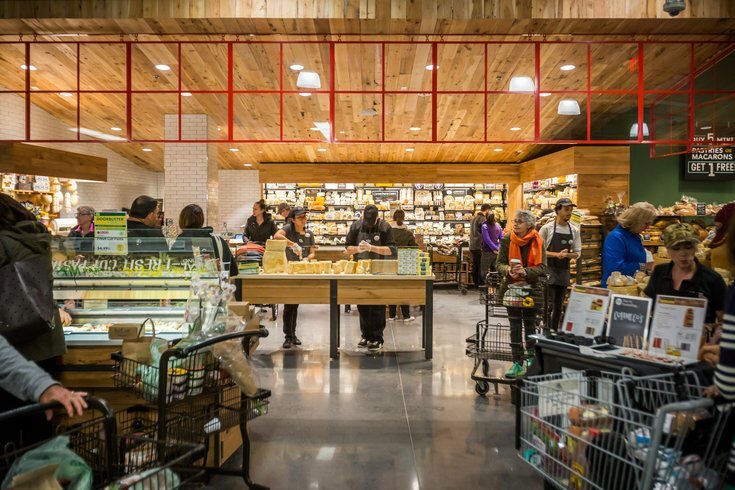 This file photo shows the the fresh pasta and cheese section at the Whole Foods Market in Philadelphia's Spring Garden neighborhood. Whole Foods owner, Amazon, is beginning to test cashier-less checkout at more stores. None of the stores in the Philadelphia region are expected to be among the first to test the technology. Amazon's 2017 purchase of Whole Foods could still mean many big changes to the grocery retailer in the years to come, including the implementation of cashier-less checkout at its large-concept stores. The Wall Street Journal reported Amazon is testing its cashier-less checkout technology, which already is being utilized in some of Amazon's smaller store spaces, in some of the company's larger spaces. In Amazon Go stores with cashier-less checkout, shoppers buy items by using an app that tracks what they pick up and put back on store shelves. Once they exit the store, they're billed. Amazon has opened such retail shops in Seattle, Chicago, and San Francisco this year. Before the first Amazon Go shops opened, the tech faced some glitches when more than 20 people were in a store a time. Though the issues have been largely fixed since then, transitioning to a larger store – like the vast space of a typical sprawling suburban Whole Foods – could be much trickier. Amazon reportedly plans to open around 3,000 cashier-less stores by 2021, serving as yet another threat to Walmart and Target. The first phases of testing in bigger spaces are taking place in Seattle, the Wall Street Journal reported.